There is no record of Jews in Britain in Roman times, as against countries such as Spain, France and Germany. The earliest Jews arrived after the Norman Conquest in 1066. William of Normandy invited Jewish financiers from Rouen to come to England. They prospered in England, mainly as moneylenders, but ultimately came up against prejudice from some of the Nobles, indebted to Jewish moneylenders. It culminated in the expulsion of the Jews from England in 1290. In subsequent centuries, the only mention of Jews was in connection with Physicians at Court, or musicians from Italy. After the expulsion of Jews from Spain in 1492, and Portugal in 1497, and the establishment of the Spanish Inquisition, a group of Portuguese merchants settled in Britain, ostensibly Catholic, but consisting of Marranos (Jewish converts), many of whom were ready to revert to Judaism. In 1656, Rabbi Menasseh ben Israel, from Amsterdam, where a community of Marrano Jews had established itself, fleeing from the Inquisition., and reverted back to Judaism, paid a visit to England to try and persuade the English Government to allow the Jews to settle again in England. He met Oliver Cromwell, who was favourably disposed to the idea, and after a Commission had deliberated on the problem, it was announced that the Deed of Expulsion in 1290 was a Royal decree, and no longer had any relevance. The Portuguese merchants immediately started a Synagogue in a house, and openly reverted to Judaism. Rabbi Menasseh officiated on one occasion. The Jewish community was established by Sephardim in England, and over the years attracted many Marranos from Spain and Portugal, trying to flee the Inquisition. Many of the Portuguese merchants were wealthy and many of them achieved prominent positions in British society. The Sephardic community thrived and built its first Synagogue at Bevis Marks in London in 1701. 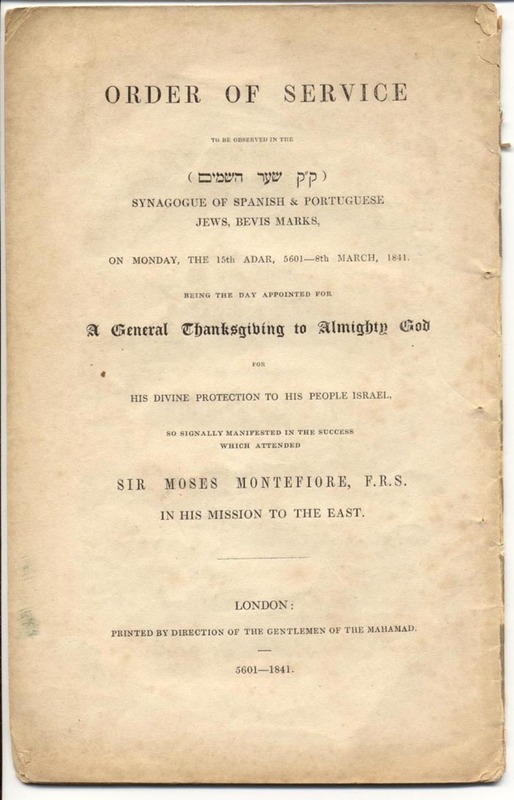 There were Ashkenazi refugees from Poland and Germany who were helped by the Sephardim, but the Sephardim remained the dominant section of British Jewry for over a hundred years, with names such as Montefiore, Disraeli, Mocatta, Lindo and Da Costa. It was not until the 19th century that a flood of refugees from Poland and Eastern Europe changed the demographic composition of British Jewry, and Ashkenazi families, such as the Rothschilds became prominent. The Sephardi community continued to occupy important positions in British society, but they were heavily outnumbered by the Ashkenazim. Around 1912, a new influx of Sephardim arrived this time from Turkey and Greece, mainly from Salonica. Because of the decline of the Turkish Empire and the takeover of Salonica by Greece, a large exodus of Sephardim occurred, many going to the U.S.A., France and England. Those who came to England formed a separate community from the Sephardim of Bevis Marks, but accepted the superior authority of the latter. With the help of Bevis Marks and the David Sassoon Foundation, the Oriental community managed to build its own Synagogue in Holland Park, London, in 1928. Although both Sephardi communities could trace back their origins to the Jews of Spain and Portugal, it was the Holland Park Synagogue that maintained its connection with Judeo-Spanish or Ladino. The Bevis Marks congregation had its origins in the Portuguese language, rather than Ladino. 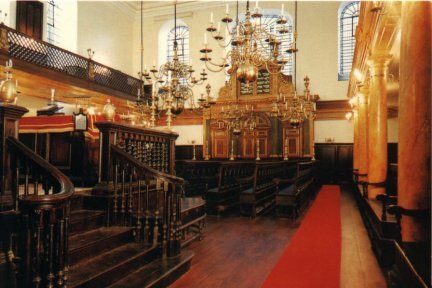 There are about 10 Sephardi Synagogues in Britain, mostly in London, but Bevis Marks continues to dominate Sephardi society in the British Isles. 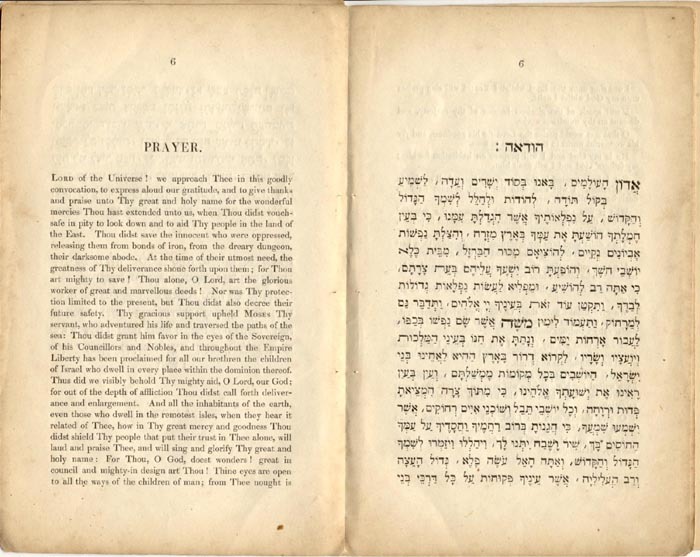 These are pages from a Siddur for a general thanksgiving service held on Monday, the 15th of Adar, 5601 (March 8, 1841) in the Synagouge of Spanish and Portuguese Jews, Bevis Marks (in London), to commerate the success which attended Sir Moses Montefiore in his mission to the East.